The corporate world is changing with flying colors. In this fast moving world, new approaches, ideas, policies and technology arise daily. In the recent time in order to rub shoulder to shoulder, learning is considered as a never ending process. It is the need of the hour that organizations constantly train and educate their employees about the changing dynamics of the industry. Nowadays, companies use Learning Management System to offer training and learning to employees at various levels. Learning Management System is a software application that enables the masses to learn anything, anywhere and anytime. The learner can access study material online. This process eliminates the limitations of time, distance and resources and use internet technology to deliver up to date training in a cost effective manner. • 24*7 Learning: - With access to internet in computer or laptop one can learn anytime. 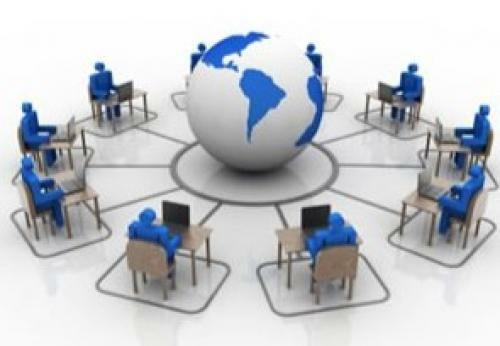 From any part of the world people can login into training portal to join the class. • Easy online registration: - Users can online download registration form, fill it up and submit the same. • Cost saving: - LMS saves cost of booking a location to conduct training, hire staff for registration and stationery cost for sending hard copy invitations. • Online invitation: - Emailing of invitation saves time and funds and moreover one can get instant confirmation on the successful delivery of a mail. • Secure method: - LMS enhance security measures. It provides protection from malware and unauthorized usage. • Accessible and customizable: - To fulfill particular organization needs this LMS can be easily accessible and customizable. • Collaboration tools: - LMS provides all types of effective and collaborative tools such as: email, wikis, discussion boards, and chat options. • Easily manage: - Top management can keep track of the course offerings, assign training to employees and can track their progress and outcomes. Now the popularity of open source LMS platforms is on the rise. Learning management systems are most important for mid sized organizations who want to arrange training for their workforce. Anyone can set up a class via an open-source LMS such as: Moodle, Sakai, LRN, Docebo, etc. It is utmost important that one should keep in mind several factors while selecting LMS. It is wiser not to select immediately after a presentation or demonstration one should think deeper.